Thursday Night Trivia In Atlantic Beach! Join us for a new Thursday night trivia show in Atlantic Beach! We're giving away great prizes every Thursday night, starting at 7 pm @ Atlantic Beach Brewing Company, located at 725 Atlantic Blvd. Plus, enjoy quality craft beer and an outstanding menu. 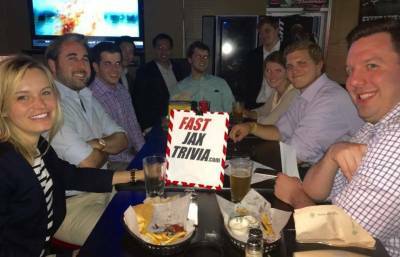 Fast Jax Trivia is Jacksonville's BEST Trivia Show, giving you TWO Free Answers for every show. Get more info at FastJaxTrivia.com. Check out Dates for: Thursday Night Trivia In Atlantic Beach!